Get these credit cards - Marriott Premier and American Airlines Credit Cards. When we signed up, they featured an 80K and 50K signup bonus respectively when we hit the minimum spend. This allowed us to stay for free for 12 nights and fly there for nearly free (we only had to pay for the taxes and fees on our British Airways flight). We stayed in the very nice Protea by Marriott hotel with luxurious rooms overlooking the ocean, vineyards, mountains and golf courses. Also, the card gives elevated Marriott status in which we were given perks like free upgraded rooms, dining discounts, etc. Be sure to apply for your credit cards months in advance so you get the signup bonus in time to make room reservations and flight arrangements! 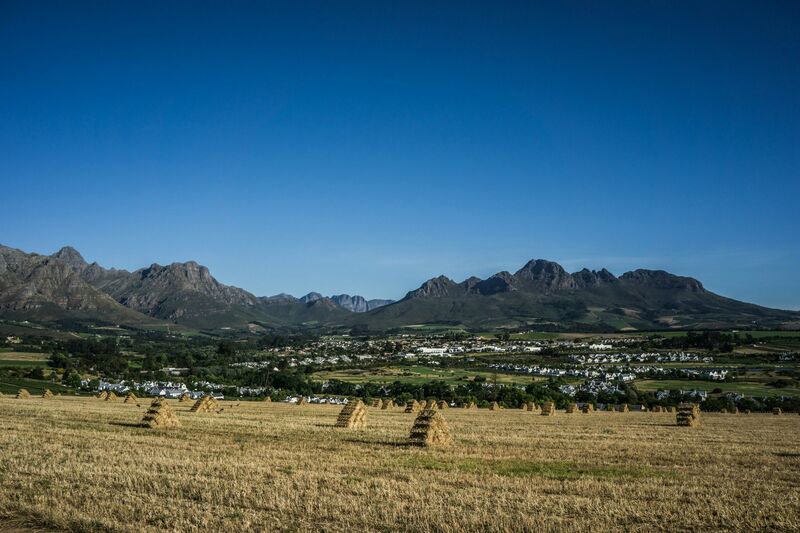 View from our FREE stay at the Protea Marriott Stellenbosch. Buy a Wild Card – This is your (year-long) pass into all of the South Africa National Parks and will save you tons if you plan on staying in Kruger National Park for at least 3 days. It got us into multiple national parks along the Garden Route, Cape Peninsula and Table Mountain as well. The cost of the pass increases every November and they last for one year so keep this in mind when buying one. Also, it took us one month to get the card shipped to us as it takes 2 weeks to send to the US and our first card was lost in the mail. Sign up early for a card! Book Lodging in the National Parks Early! – Register on SAN (South Africa National) Parks website in order to reserve your lodging within the park system. Do this early, as the huts/accommodations can fill up very quickly. We stayed for 3 nights in Satara Rest Camp and 2 nights in Lower Sabie Rest Camp. Lower Sabie was much busier due to it’s closer proximity to Johannesburg Airport and more animals sightings when we went (likely due to increased access to drinking reservoirs). We preferred the lodging at Satara Rest Camp because it was nicer and had less of an international tourist feel to it. 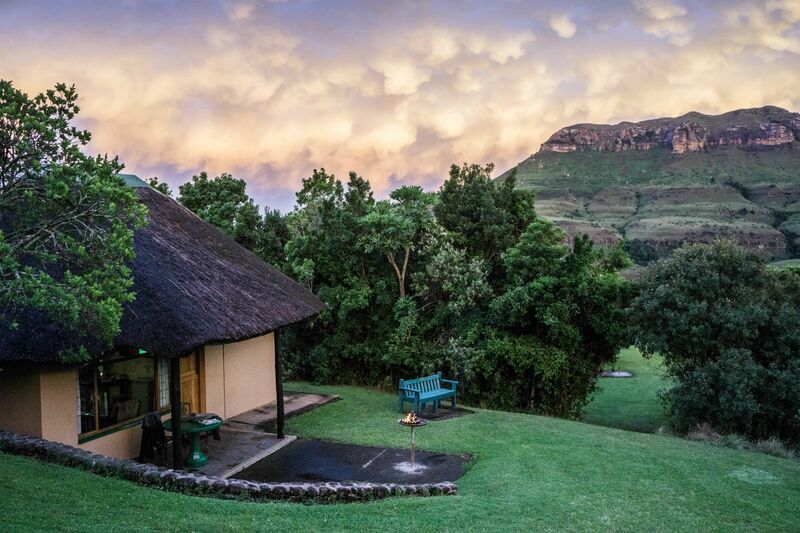 Thendele Luxury Rest Camp was by far the best national park accommodations we had – if you have enough time to get to Drakensberg, we highly recommend staying at Thendele! Book your game drives with the National Park to be able to leave the electric-fence gate of lodge before sunrise/after sunset each day to optimize viewing. - Also, we saw plenty of animals in our economy size rental car. However, it was nice to have a guide teach us about the animals and Josh was able to focus on game-viewing instead of the road when we went on organized tours. The parks close their electric gates early in the evening so the only way to see the nocturnal animals is with an organized tour. Our pre-booked tours included sunrise and sunset game drive at each rest camp (Satara and Lower Sabie) in addition to a Night Drive (shining spotlights to look for the nocturnal animals). Natalie ended up chickening-out before the Morning Walk- where you get to walk through the park on foot with armed guards for protection from predators, so we didn’t see that but heard it is an incredible thing to do as well! 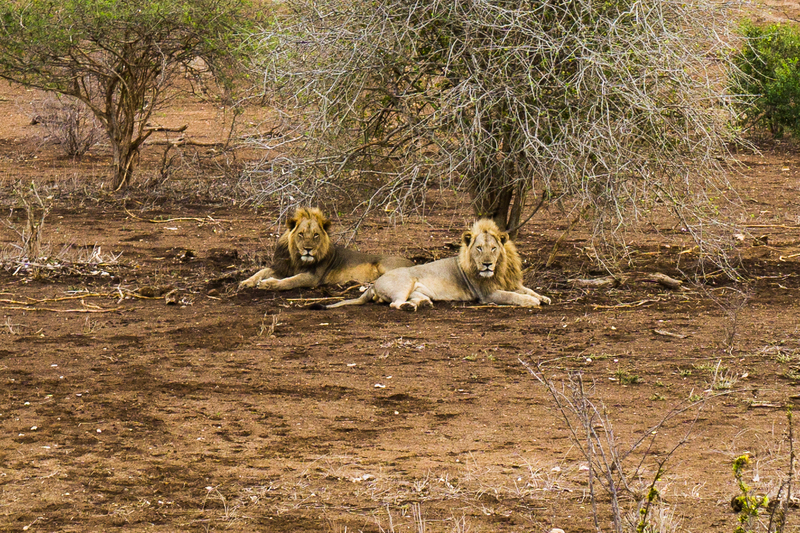 Lion pals at Kruger National Park. Make sure to have a phone with GPS, garmin or well-planned directions to help you navigate through the gigantic country of South Africa. Pack neutral colored clothing (no bright colors- the animals become too curious) and your binoculars for the DIY Safari. - Get there before sunset. Be sure to enter the camp’s electric fence gates before they close for the night. Usually before sundown. Buy groceries and drinking water at a Spar or Pick-n-Pay grocery store. - If you don’t have time, some of the lodges will have small markets. We were able to get everything we needed at Satara Camp’s market during our stay. Additionally, we found the restaurants at the camp to be delicious and very well priced. Some nights it was a “wash” in terms of the cost of eating out at the restaurant vs. cooking a meal in our “self-catering” kitchen in the hut.